Enjoy this collection of recipes from neighbors, staff and friends of the Canton Branch library. From appetizers to desserts you'll recognize some Baltimore classics and experience the wonderful ethnic diversity of foods. The book also includes line art drawings of the Canton neighborhood, historical tidbits and local lore. 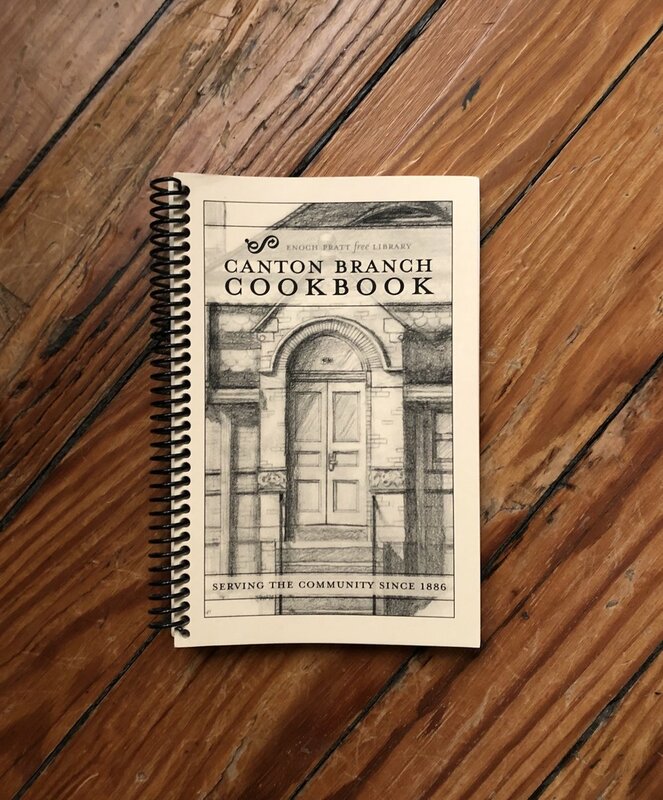 The cookbook was originally published in celebration of the Canton Branch Centennial in 1986 and reprinted in 2016. You can pick up a copy at the Canton Branch library or at the shop at 2910 on the Square or email us at friendscantonlibrary@gmail.com.